This photograph beautifully captures the pure joy of church photography and was taken at Saint Paraskevi Greek Orthodox Church in Sydney. The bride and groom are being bombarded by raw rice, a beautiful tradition for Greek weddings following a Greek Orthodox wedding ceremony while the couple exits the church. I was actually being also bombarded with the rice grains while taking this image and remember it really well how groom’s clothes were covered in rice, inside and out! As you can see in this image I was able to capture the moment in a natural photojournalistic style. This shot is certainly going down on my book, as one of my favourite shots, in what would be remembered as one of the most candid and natural shots I have ever taken in my entire career as a professional photographer. This photojournalistic and candid style of wedding photography, is where I really shine and I am so passionate about, where posed shots certainly have its importance in wedding imagery, natural shots have a much higher importance and significance for me and also for the bride and groom when they finally see the resulting images. This is where the wedding photo really speaks out, telling the wedding story, in a natural and documentary style. 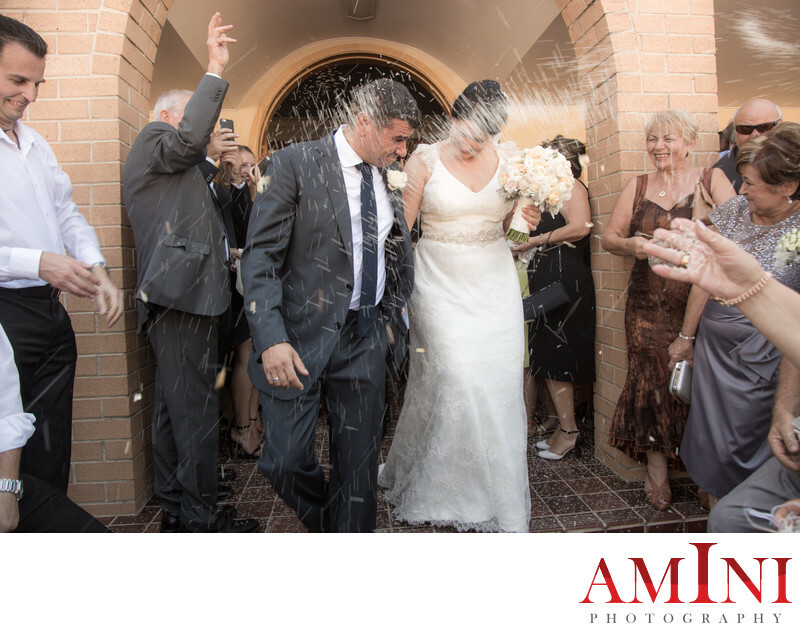 There are handful of wedding photographers in Sydney sharing my passion for the wedding photojournalistic style.